There was a man who had made his way in the world. He lived by himself, for himself; spent much of his time in his nice condominium on the 5th floor of a nice building, away from the fray and cares of the world. One day a fire broke out in his building, on his floor. By the time he noticed the danger, the way out was impassible. Fire was breaking into his condo, causing the roaches and other vermin that had lived out of sight to seek escape in the open rooms. Desperation was setting in on the man, as he was seeing the stuff of his life consumed and his hidden companions revealed. Through the open window he heard people yelling. On the ground below he saw men from the fire department, holding a net and yelling for him to jump. But jumping would not save him unless the firemen caught him. If he missed the net, if the net failed, if the men couldn’t hold it or cruelly moved out of the way; he would die. His jump would not save him. The fire had revealed the passing nature of his life trophies and the hidden pests he had been sharing his home with. But the fire could not save him – it only revealed the condition he was in and threatened his safety. Do you see the spiritual lesson? The fire represents law, which reveals sin. While we Gentiles were never under the Mosaic Law, we were a law unto ourselves before Christ saved us and we were convicted by our own consciences that we were guilty. Unless we are made aware of this danger, we won’t notice it – man is naturally blind to spiritual truth. Jumping represents faith, a necessary component of our salvation, but not the entire scope. Faith in the firemen and their net wouldn’t save our man but it would get him to the safety they could provide. The firemen called the man, he jumped, the net held. Creator God calls men to Himself, (just as He did Lazarus) and they come to Him and are saved. Far more trustworthy than mere men and their net, our Savior is certain to save His elect. Our anchor holds! Let’s take a closer look at faith and its part in our salvation. Ephesians 2:8 tells us, by grace you have been saved through faith. And this is not your own doing; it is the gift of God. As a footnote, I want to remind us that this faith is itself a gift from God, not something we contribute. Salvation is monergistic – all God and none of man. We also know that without faith no man can please God (Hebrews 11:6) and that not all men have such faith (2 Thessalonians 3:2). And lastly, we know that demons have some sort of faith which does not save them (James 2:19). This faith that God gives so that we can answer His call to “repent and believe” is special, necessary, and always present in the Christian’s life. This faith is not present in the lost person and the lack thereof keeps him from knowing and loving Christ Jesus. This verse describes people who do not have the Spirit and do not believe in Christ: “the natural man.” This question must be asked: What work of the Holy Spirit is lacking? Does the unbeliever simply need a non-saving form of illumination (which would support faith preceding regeneration) or does he need regeneration itself (which would demand regeneration preceding faith) to overcome his deficiency? Stated plainly, can one who is classified as dead in sins and trespasses be illumined, given faith, without being regenerated? As important as faith is, to rightly comprehend its meaning and use, we must understand its role in our salvation. For how a man gets saved is the most important thing we can comprehend. While faith is important, it is not most important. Faith is not what turns away the wrath of God, the blood of Christ does that. Although by faith we have peace with God, faith does not save us; the finished work of Christ dos that. We cannot be saved without faith, but faith cannot save us. And while the righteousness of God comes to us by faith (Romans 3:22), it is Christ’s righteousness that grants us God’s favor: For our sake he made him to be sin who knew no sin, so that in him we might become the righteousness of God. (2 Cor 5:21) Reconciliation with holy God is possible because we become His righteousness by having been bought by the blood of His Son. Therefore, in everything we do; Bible study, evangelism, personal devotions, discipleship; Christ Jesus and His glory is to be our focus. The gospel is the proclamation of His sinless life and atoning death. The redemptive plan of God is revealed as the core theme of Scripture from Genesis to Revelation. Once we are born again by the Holy Spirit, we are no longer the carnal human we used to be – drawn and driven by the sinful desires of our flesh; we are new creatures in Christ, no longer regarding one another “in the flesh” but seeing all things through spiritual eyes of faith. If you and I have been redeemed by the blood of the Lamb, His Spirit does dwell in us and we are pleasing to God for the righteousness of Christ is imputed to us; we are justified by his grace as a gift, through the redemption that is in Christ Jesus, whom God put forward as a propitiation by his blood, to be received by faith. (Romans 3:24 & 25) We are justified and redeemed, by grace alone received by faith alone in Christ alone. Some teach that justified means “just as if I’d never sinned.” If you say it just right, it sounds really cool. But that catchy phrase does not begin to describe the depth of our need nor the scope of Christ’s provision. The truth of our situation is that we were dead in sins and trespasses and Christ died for us while we were His enemies. A Man of sorrows, He stood in our place, having no sin of His own. His blood paid the price we could not pay. We were great sinners who were even more greatly forgiven by our great and holy God. We are forgiven, redeemed, ransomed, and reconciled – by the blood of Christ; to be shielded from the wrath of God and the Lamb on that great Day of Judgment. Are we to consider ourselves as if we’d never sinned? God forbid! Such a view does violence to the cross and the ongoing intercession our Lord provides. 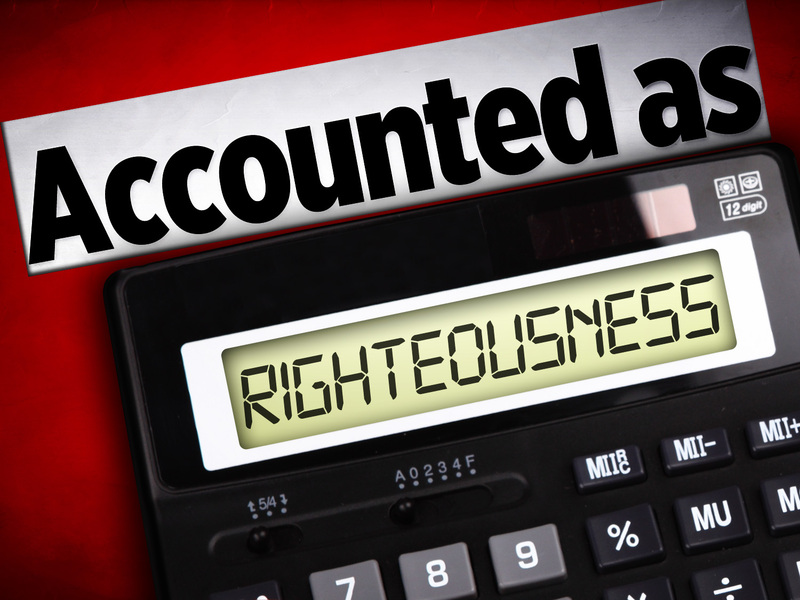 Our sin debt was not merely dismissed as a bad grade on an elementary school report card. Jesus hung on the cross and suffered the wrath of God on our account and there is now no condemnation for those who are in Christ Jesus! We were bought at a price, we do not belong to ourselves any longer. The Spirit of the living God dwells within us, so we are to glorify God in our bodies (1 Cor 6:20). Paul went on to tell us (Gal 5:16-25) to walk by the Spirit, and you will not gratify the desires of the flesh. He contrasts the fruit of the natural man with the fruit of the spiritual man and finishes with an exhortation: And those who belong to Christ Jesus have crucified the flesh with its passions and desires. If we live by the Spirit, let us also keep in step with the Spirit. This is a life of faith; we struggle against sin, take measures to avoid sin, keep our focus on the unseen realm where we are seated with Christ. We are to be heavenly minded so we can be of earthly good. We won’t walk perfectly, for the flesh will always be tempted and sin too often; which is why no flesh can inherit the kingdom of God. But we have not been left to walk this path alone. We have the Holy Spirit within us, working in us to will and to do that which pleases Him (Phil 2:13). And we have an advocate, the Lord Jesus, Who is ever interceding on our behalf! Walking in Spirit means we are sensitive to the sinful desires of our flesh and repent from those things that grieve Him (Ephesians 4:30). It also means our focus is to cooperate with Him and do, speak, and think things that please Him. We have been translated from the kingdom of death to the kingdom of life! Page 34 – 35: There is nothing in man that causes God to justify him, including his repentance and faith. Repentance does not pay for sin. A criminal’s remorse for his crimes does not satisfy the just demands of the law. Neither does faith pay for sin! Only the blood of Jesus can pay for sin! Justification is based on the blood of Christ. This little snippet reveal something else about faith that we must understand. The object of our faith is what is important. As the strong bridge in the story was essential, so the right Jesus for us. This is why the Roman Catholic Church is a synagogue of Satan: they have an unbiblical Jesus who cannot save. One can have all the faith in the world in a false savior and be certain of doom. As 1 Corinthians 15 declares, Christ Jesus dies for our sins according to the Scriptures; was crucified according to the Scriptures; He was resurrected according to the Scriptures. The Jesus Who saves is the Jesus of the Scriptures, not of man’s imagination! Colossians 3:1-3 (ESV) If then you have been raised with Christ, seek the things that are above, where Christ is, seated at the right hand of God. Set your minds on things that are above, not on things that are on earth. For you have died, and your life is hidden with Christ in God. Beloved, we who have been bought by the blood of Christ have died to self and this world, our life is hidden from the world because we are in Christ and they cannot see Him unless they are born again (John 3:3). Our citizenship is in heaven (Phil 3:20), we are seated with Christ in the heavenly places (Eph 2:6), crucified to the world (Gal 6:14). It is only our mortal body, our flesh, which has not been redeemed; that and our mission of reconciliation is all that ties us here. We are to put to death our members that are upon the earth (Col 3:5) and present our bodies as a living sacrifice unto our God (Rom 12:1). We are to resist being conformed into the pattern of the world and instead be transformed by the renewing of our minds on the word of God so we will know discern that which pleases Him (Rom 12:2). This is the life of faith! Having been raised to new life in Christ, we are able and will want to be people who bring honor and glory to Him. He alone is worthy of all praise and we are those living stones He raise up to be His temple and to sing His praises now and throughout eternity! What a glorious Lord and Savior is Christ Jesus! He conquered hell and death and sin; He is the author of life and holds the keys of David. By His obedient life He earned the privilege to open the scrolls that spell out God’s consummation of history. The Lamb Who suffered and died, rules all of creation and will judge the quick and the dead. He is worthy of our praise, our devotion, our lives. And He is faithful even when we are faithless and tempted by the devil. Should We Pray for ISIS? The following post from Russell Moore can be read in full at The Gospel Coalition. These are some great thoughts about the juxtaposition of justice and justification. “Over the weekend many of us watched with horror and heartbreak as reports of terrorism came from Paris. At least 120 people were killed in what appears to be a coordinated operation by the Islamic State (ISIS), a terror organization that has murdered thousands of innocent people over the last year, including many Christians. ISIS is one of the clearest embodiments of persecution and evil that we in the West have seen in many years. Their very existence is a commitment to wiping out political and cultural opposition through violence. They prey relentlessly on the innocent, including children. There’s no question that ISIS is a menace that must be engaged through just war. But is justice the only thing that Christians should pray for when it comes to ISIS? Should we pray that our military, in the words of singer Toby Keith, “light up their world like the Fourth of July”? Or should we pray that, as a friend of mine posted on social media, there would be a Saul among those ISIS militants, whose salvation might turn the Arab world upside down with the gospel? A great review of important issues that bear on the essential doctrine of soteriology – how is one saved? By John Hendrix. The truth of God’s word is honored not in holding exclusively to one truth to the exclusion of another truth, but in believing the whole counsel of God. The Bible plainly teaches that man is responsible to obey the summons of God to repent and believe the gospel just as it plainly teaches that he is morally unwilling and unable to do so. 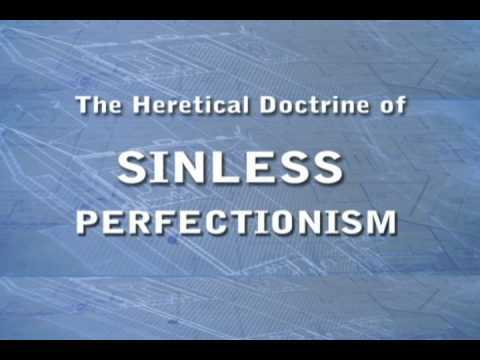 These two seemingly contradictory assertions can be reconciled when we understand that, after the fall, God’s perfect standard for holiness for man does not change … so even the very desire for faith, by which we believe in Christ who justifies sinners, can only belong to us, not by nature but by a gift of grace, that is, by the inspiration of the Holy Spirit amending our will and turning it from unbelief to faith and from godlessness to godliness. Jesus says, “no one can come to me [i.e. believe in me] unless the Father who sent me grants it.” (John 6:54) Again, the Apostle Paul says, “And I am sure that he who began a good work in you will bring it to completion at the day of Jesus Christ” (Phil. 1:6). And again, “For by grace you have been saved through faith; and this is not of yourselves, it is the gift of God” (Eph. 2:8). Furthermore some teach that God has mercy upon us when, apart from his regenerative grace, we believe, will and desire to believe, but do not confess that it is by the work of renewal by the Holy Spirit within us that we even have the faith, the will, or the desire to do all these things; If we make the assistance of grace depend on our own wisdom, humility, prudence, obedience, sound judgment or good sense, but don’t agree that it is a gift of grace itself that we are obedient and humble, we then directly contradict the Scripture which says, “What have you that you did not receive?” (1 Cor. 4:7), and, “But by the grace of God I am what I am” (1 Cor. 15:10). No man can come to me, . . .
. . . except the Father which hath sent me draw him: and I will raise him up at the last day. …whoever believes in Him shall not perish, but have eternal life. Note: there are, indeed, those who come to the light — namely those whose deeds are the work of God. “Wrought in God” means worked by God. Apart from this gracious work of God all men hate the light of God and will not come to him lest their evil be exposed.
. . . I was found of them that sought me not; I was made manifest unto them that asked not after me. “…the sinful mind is hostile to God. It does not submit to God’s law, nor can it do so. you do not hear, because you are not of God. …and as many as were ordained to eternal life believed. God…commandeth all men every where to repent.
. . . whosoever will, let him take the water of life freely. So then it is not of him that willeth, . . .
…Thy people shall be willing in the day of thy power,. . .
. . . Except a man be born again, he cannot see the kingdom of God.
. . . The God of our fathers hath chosen thee, that thou shouldest . . . see that Just One, . . .. But as many as received him, . . . were born, not of . . the will of the flesh, nor of the will of man, but of God.
. . . if thou shalt confess with thy mouth the Lord Jesus, . . .
. . . no man can say that Jesus is Lord . . .
. . . but by the Holy Ghost.
. . . make you a new heart and a new spirit: for why will ye die, . . ? The heart is deceitful above all things, and desperately wicked: . . .
A new heart also will I give you, . . . and I will take away the stony heart . . . The Most Terrifying Truth of Scripture! The gospel cannot be made any clearer than this. This is the message that is simple and free to all who will come and plead for mercy at the feet of a holy, righteous God.